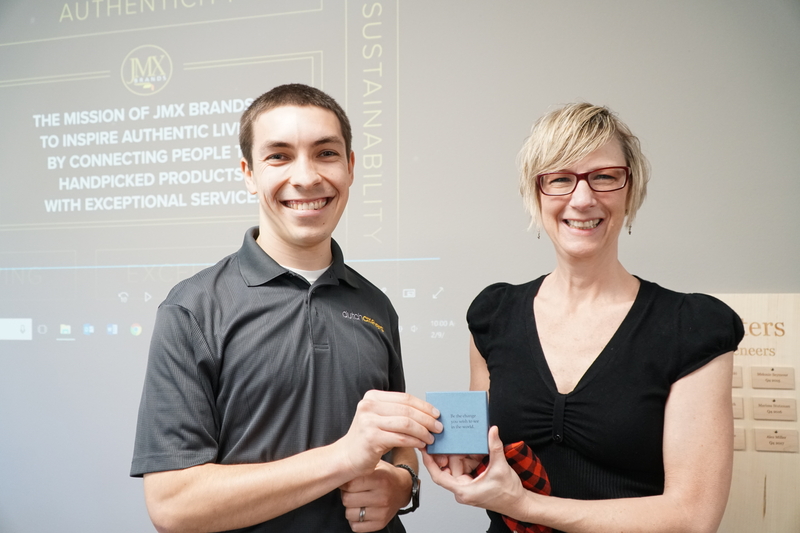 JMX Brands, the largest online retailer of Amish furniture at www.dutchcrafters.com, recently awarded company Multimedia Producer and Graphic Designer Jake Smucker the first annual Service Award during an anniversary party pep rally held at the business’ headquarters in Sarasota, FL. The award was presented to Smucker in recognition of his service to the organization and the community. The Goshen College graduate is a member of JMX’s garden club and chairs the family and employee connections committee, which helps to welcome new employees as well as celebrate and support staff and family during triumphs and tribulations. In the community, Smucker is a Big Brother with Big Brothers and Big Sisters of the Sun Coast, volunteers with his church, and will be traveling to Louisiana in March with Mennonite Disaster Service to rebuild homes damaged by floods. 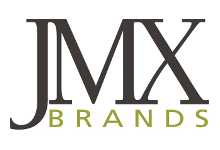 The JMX Brands Service Award was established this year as a way to promote giving, one of the company’s core values. The award will be given to a single recipient during the company’s annual anniversary festivities in recognition of their spirit of service and generosity that build community inside and outside of the organization. The recipient will receive a day off work to volunteer at their organization of choice, and have a donation given in their name to that organization.